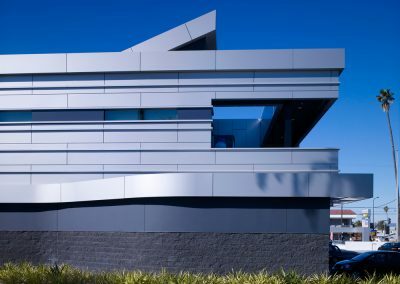 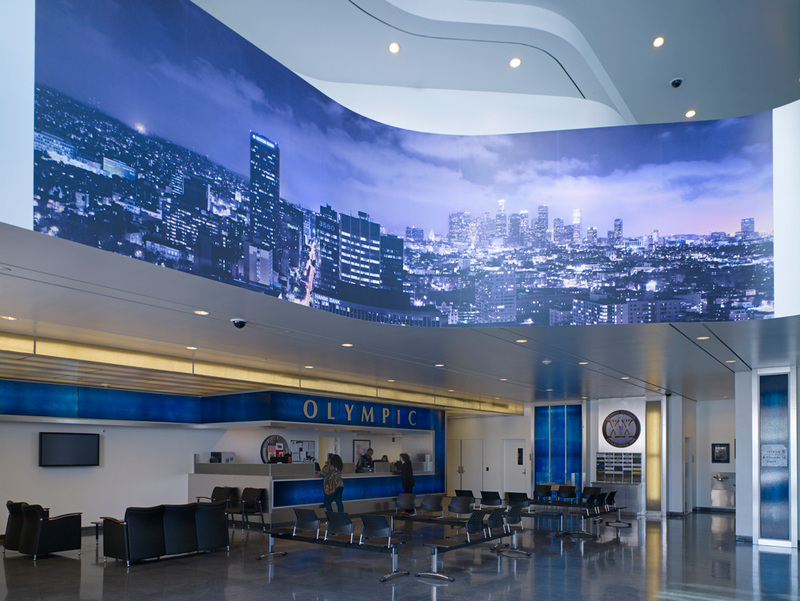 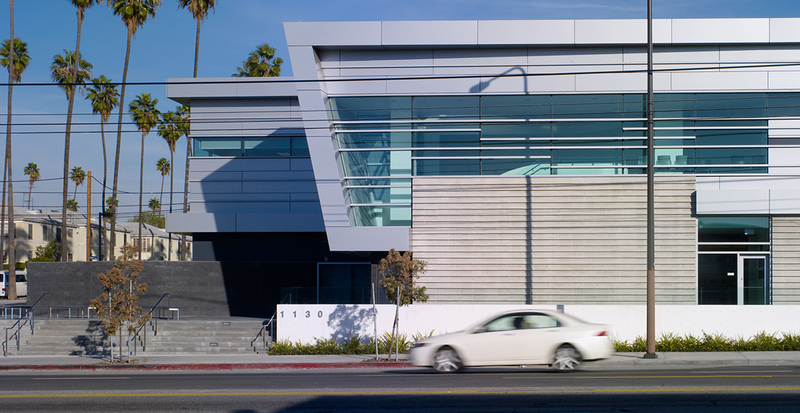 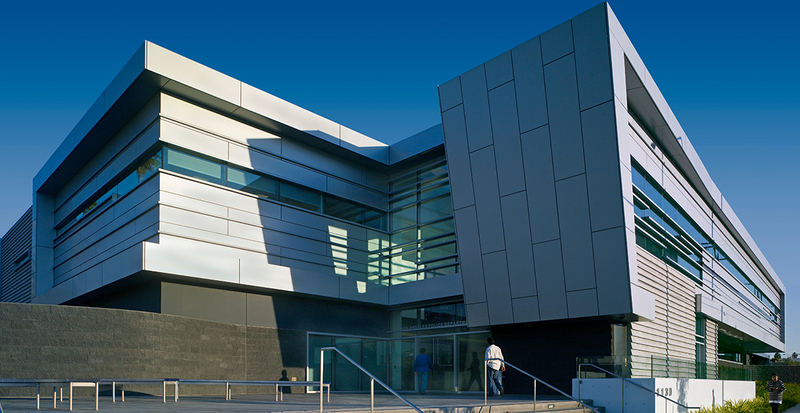 Gruen Associates was the Design Architect and Landscape Architect for the Olympic Police Station, a new police complex funded by Proposition Qʼs bond program. 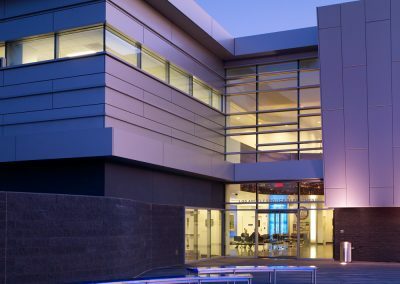 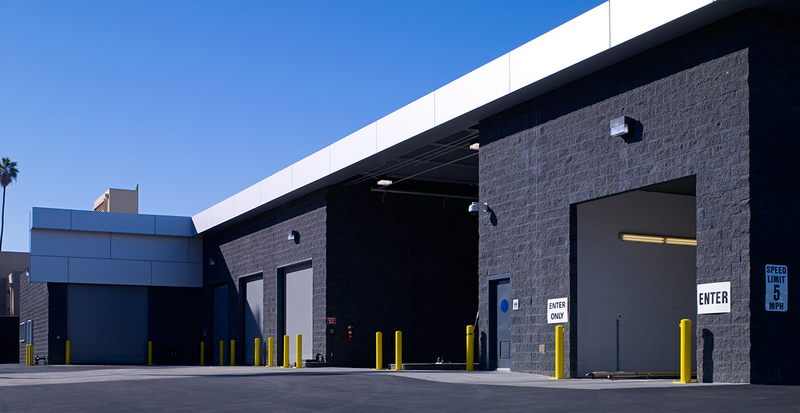 This award-winning facility includes a 54,000-SF police station, an 8,800-SF vehicle maintenance facility, below-grade parking for 204 cars, a car wash, and a fueling station. 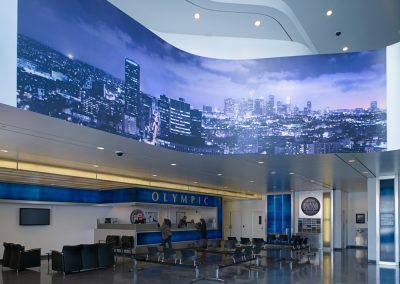 Design features include a community room for public use, as well as a large outdoor entry plaza that opens onto the adjacent street. 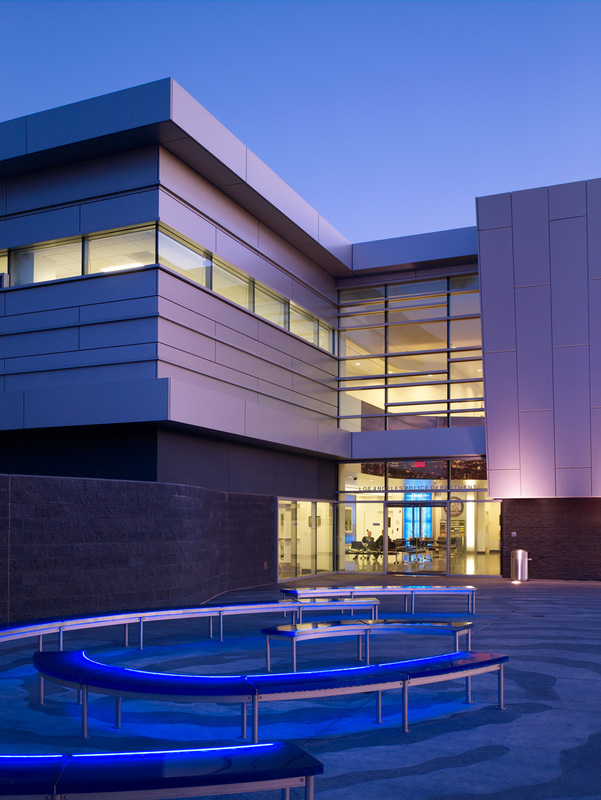 The project received LEED Gold certification and served as the prototype for the Northeast Police Station, another Gruen-designed project.